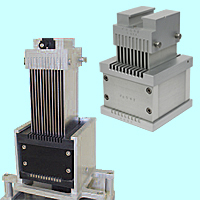 Texture analyzer fixtures manipulate the forces applied to the test sample, to accurately replicate the conditions of a consumer interacting with the product. 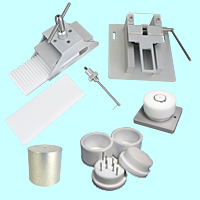 These accessories ensure that the sample is secured or contained and then deformed in a manner appropriate to the specific test procedure. 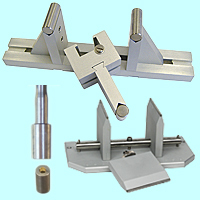 Typically a lower fixture supports and presents the test sample while an upper attachment on the texture analyzer’s crosshead is lowered into or through the product to implement a compression method or pulls the sample upwards to apply tension. 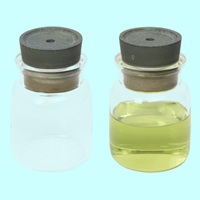 The forces exerted during deformation may vary considerably and the loadcell or force transducer capacity should be matched appropriately. 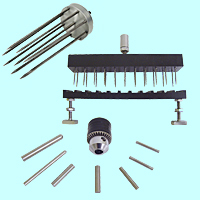 We have grouped our fixtures into general accessories, method-specific and industry-specific groups to make finding the right product for your application quick and easy. 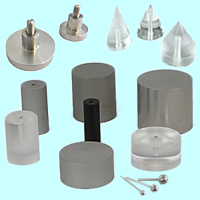 General probes, in a range of shapes and sizes, are applicable to many test types, and sample presentation accessories locate and contain the sample securely. 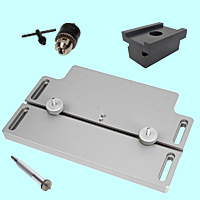 Auxiliary adapters allow flexibility in connecting other hardware for maximum versatility. 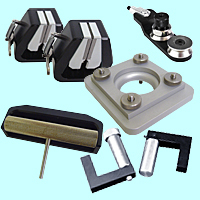 We offer a choice of fixtures designed for all texture-related mechanical test methods. 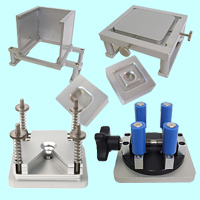 We manufacture bakery and gel testing fixtures to enable procedures for specific industry standards to be performed. 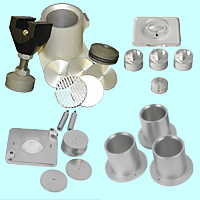 Our team of applications engineers will tailor the fixtures offered to meet your exact test requirements, or we can make a custom design to your specifications. 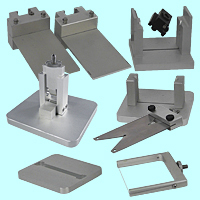 Most Food Technology Corporation fixtures are compatible with our competitors’ products, so please contact us to complete your hardware set up even if you do not use an FTC texture analyzer.